14’ wide x 8’11 deep Portico, with x1 staging and x1 shelving along 14ft rear. 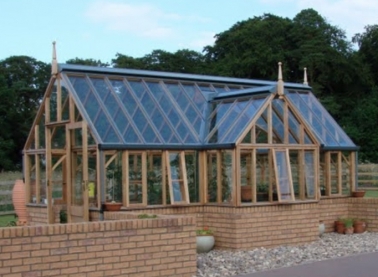 This stylish greenhouse, as the name might suggest, has a central porch allowing access to the greenhouse from the side. 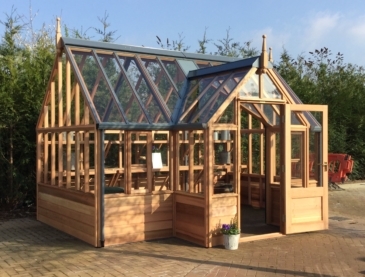 Maintaining all the classic features of the RHS collection – narrow pane centres, steep roof pitch, cedar hand turned finials – the Portico will work comfortably in many a fine English garden but may be better placed at the heart of the garden on the country estate. 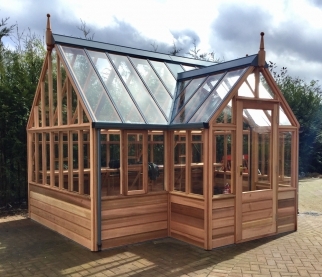 The Portico may be extended in length but if it is growing capacity you need then opt to have cold frames added to the greenhouse either side of the porch. 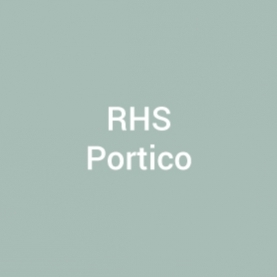 As with all the structures in the RHS Greenhouse range, the Portico can be made to sit on a dwarf wall instead of the cedar panels. 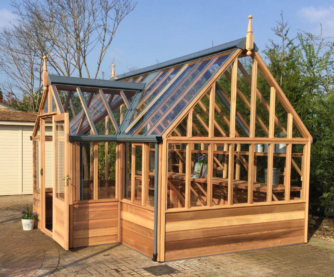 The Grand Portico is 20′ in length and 12′ in width with the addition of a central 7′ 6″ x 2′ 6″ porch, making the overall footprint of the greenhouse over 250 square feet. 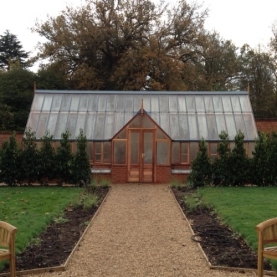 A pair of double doors in the porch replace the single door in the smaller Portico allowing for larger furniture and plants to be taken in and out of the structure. 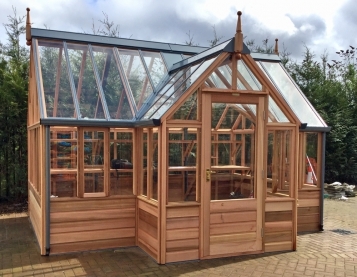 As with all Gabriel Ash greenhouses the Grand Portico may be extended in length, and comes with all the standard attributes you would expect from a Gabriel Ash greenhouse. 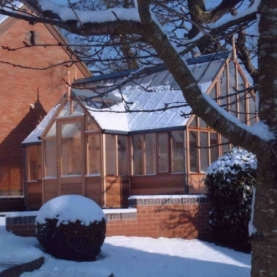 Reduce glare and lower summer temperatures. 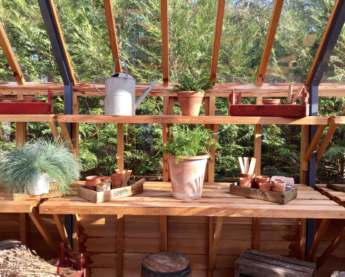 Add cold frames either side of the porch.